The Fantasie Beqa swimwear range sees the vibrant aztec print tones of black and cream. his Fantasie Beqa kaftan combines style and practicality. 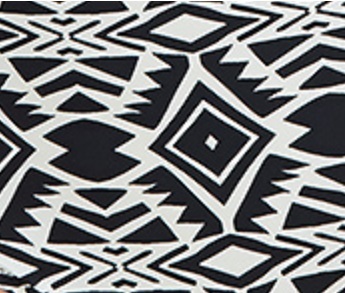 The lightweight fabric is detailed with a monochrome Aztec-inspired print and hangs loosely over the body, making it a comfortable cover up when the sun shines. Black trims complete the design and you can style it by cinching the waist with the . Fantasie Beqa control bandeau swimsuit in black and cream. All eyes will be on you this season in the gorgeous new Fantasie Beqa Range. The Fantasie Beqa Bandeau Bikini Top will make you to bring something different to the pool, a contemporary aztec inspired Italian print collection designed exclusively for Fantasie Swim in a striking monochromatic colourway. Add a little something different to your swimwear collection with the new Beqa range by Fantasie! Featuring a fun and funky, Aztec inspired print in beautifully contrasting colours, this tankini top offers a truly individual look at the poolside!Fun..